Brides and grooms come from all over the world to get married at San Francisco city hall under the dome. In our 8 plus years of photographing weddings here, we have met couples from virtually everywhere. Some of the most common countries of origin include China, Australia, England, Canada and Germany. We really enjoy photographing these couples from out of the country because it gives us the opportunity to share information about San Francisco and City Hall of course. For many of them, it is their first visit to the United States and so they are interested in learning all they can. There probably isn't a better City Hall in the country for having your marriage ceremony. 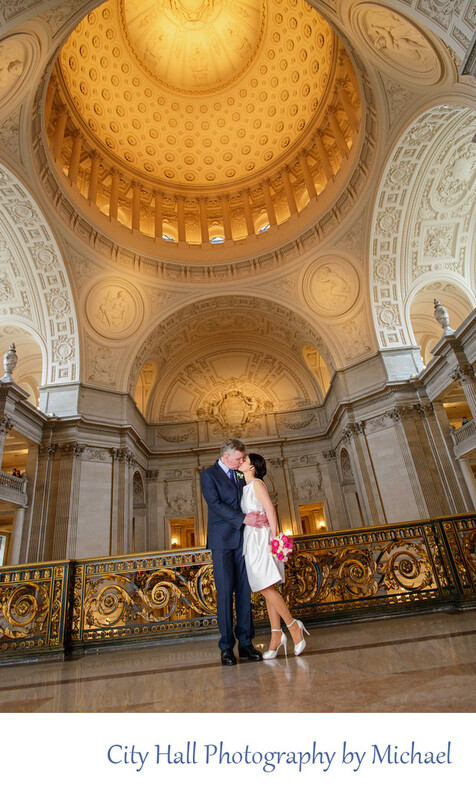 The combination of the beautiful architecture, great officiants, and smooth marriage process makes San Francisco city hall the best place in the country for your nuptials. With that being true, it is very important that you find the best wedding photographer possible.